When I was a child, Fairyland was easy to reach. 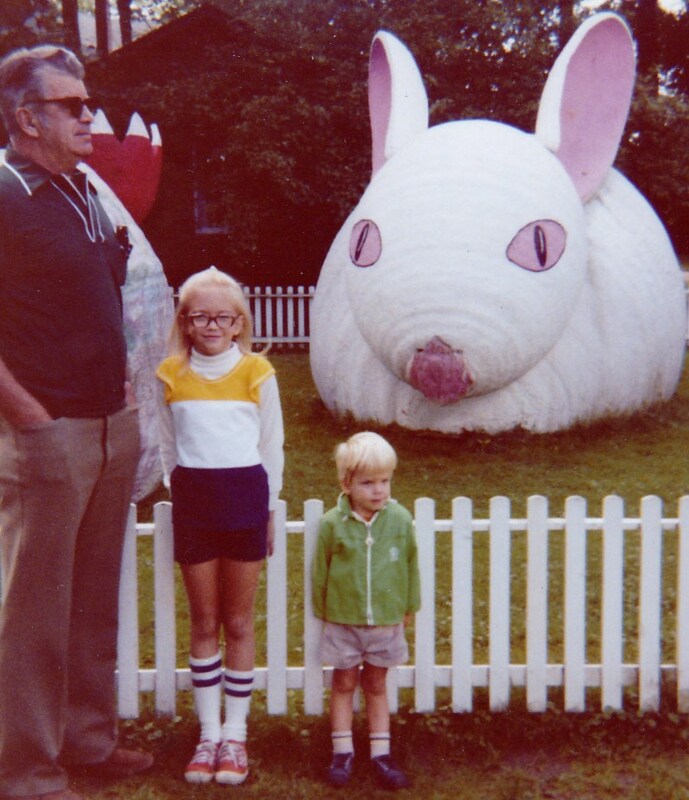 It was on State Highway 618 in Conneaut Lake, Pa.
Not exactly an enchanted land, this Fairyland offered encounters with fanciful fiberglass structures and a few live animals. Fairyland Forest opened in 1960, just across the highway from Conneaut Lake Park. 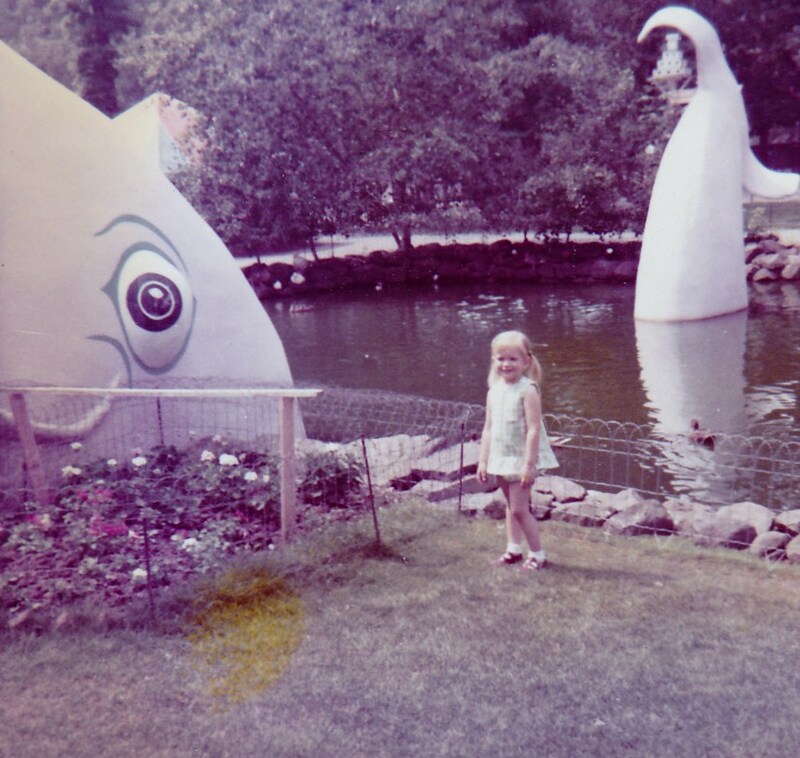 It was one of many story-book-themed parks that sprouted across the nation in the 1950s and 1960s to attract young baby boomers. 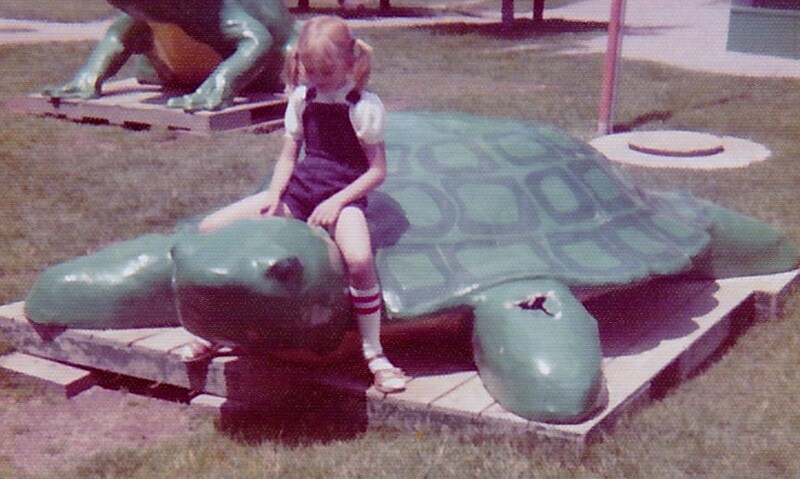 According to Conneaut Lake Park: The First 100 Years of Fun by Lee O. Bush and Richard F. Hersey, Fairyland Forest drew enthusiastic crowds in its early years. 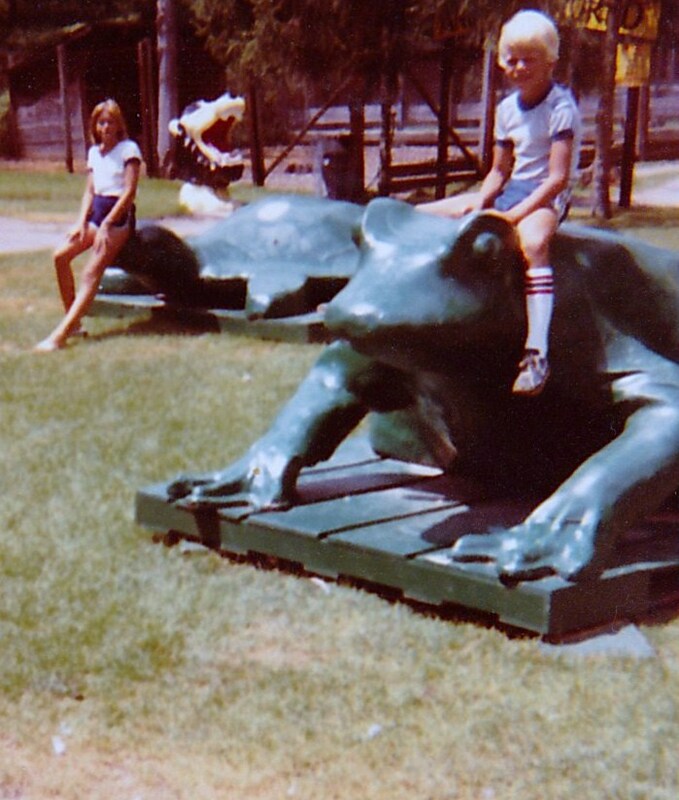 For my family, visiting Conneaut Lake was a summer tradition that started around 1970. We would travel with my maternal grandparents and rent a cottage or motel rooms near Conneaut Lake Park. And, every year, we spend a few hours strolling through Fairyland Forest. At some point, my grandfather took sole responsibility for this part of our vacation. I’m sure that gave my parents and my grandmother a nice break, and it also helped me and my brother create wonderful memories with our grandfather. Fairyland Forest displayed scenes out of nursery rhymes (Humpty Dumpty, the Old Woman Who Lived in a Shoe), holidays (the Easter bunny), and Bible stories (Jonah and the whale, Noah’s ark), along with a few random touches (a big frog and turtle you could sit on—an irresistible photo op, at least for my family). 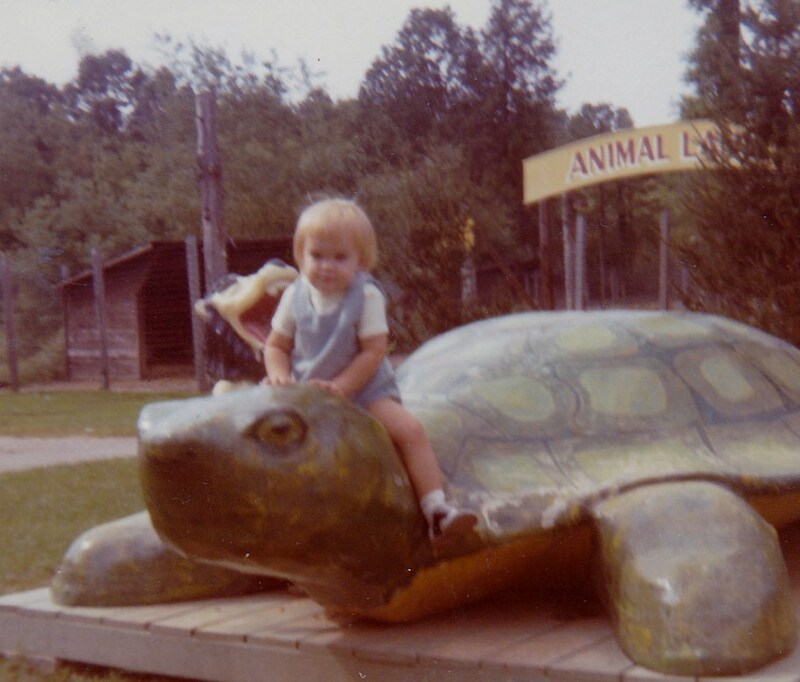 Past the displays, you found a petting zoo and a playground. Newspaper ads from the 1960s touted “over 100 little live animals that eat out of your hand.” I mostly remember deer and goats and some very aggressive geese. You exited the park through a Windmill-shaped building that housed (surprise!) a gift shop. I enjoyed our Fairyland Forest tradition so much that I never balked at going, even as I entered my teen years. Sentiment blinded me to the park’s deteriorating condition. We made our final trip in 1983, not knowing then that it would be our last. My grandfather died of lung cancer in 1984. Fairyland Forest closed in 1985, the victim of declining attendance. It was a loss to me, though. For years after my grandfather died, I figured I would never return to Conneaut. I thought seeing the RV camping facility that replaced Fairyland Forest would hurt too much. By 1997, my feelings changed, and now I try to support the struggling Conneaut Lake Park with an annual visit. I take my daughter to Idlewild’s Storybook Forest to give her the Mother Goose experience. And I journey back to Fairyland in old photos and my memories.